commented on "How many conductors does it take to lead a brass band? ..."
How many conductors does it take to lead a brass band? 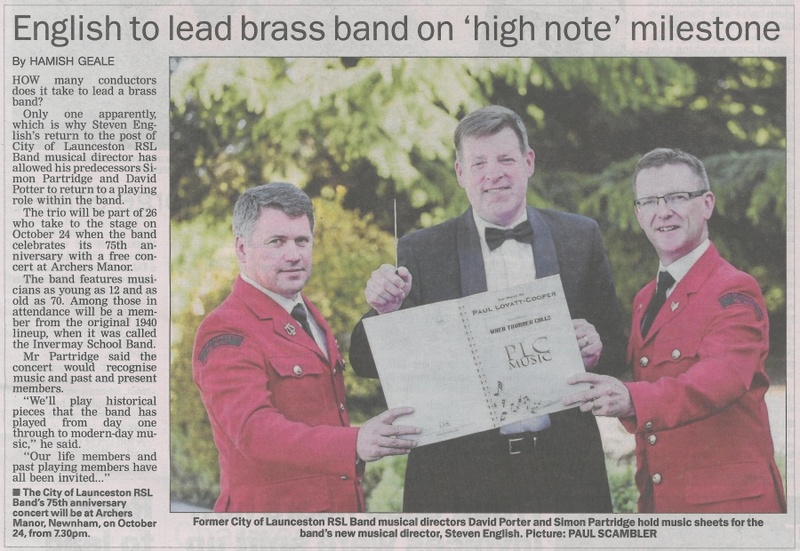 Only one apparently, which is why Steven English's return to the post of City of Launceston RSL Band musical directors has allowed his predecessors Simon Partridge and David Potter to return to a playing role within the band.